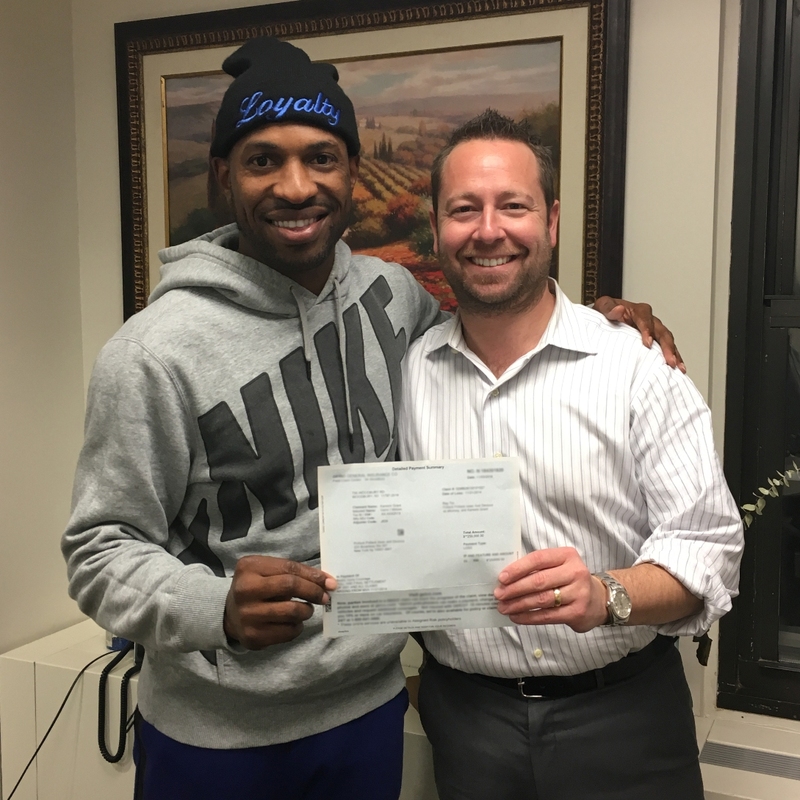 Home / Case Results / Queens Rear-End Accident Lawyer Review: Kareem G.
Queens Rear-End Accident Lawyer Review: Kareem G.
On November 21, 2014, Kareem was at the intersection of Guy R. Brewer Boulevard and Linden Boulevard in Queens, New York when his vehicle was rear-ended by a drunk driver. Kareem suffered multiple traumatic injuries to both of his knees that required surgical intervention. He also suffered injuries to his lumbar spine that required pain management, including lumbar epidural steroid and trigger point injections. As a result of these injuries, Kareem was confined to his bed for approximately 10 weeks. Kareem retained another attorney after his accident, but asked for Adam’s help when he found out that his attorney was trying to settle for a few thousand dollars. Once retained, Adam filed a motion for summary judgement declaring the drunk driver legally liable for the accident. In New York State, interest on any personal injury judgment accrues at 9% from the date of the determination of liability. Therefore, Adam’s immediate actions caused GEICO to re-evaluate their settlement position fearing it would have to pay the judgment AND the interest on top. After several phone calls, Adam successfully obtained the maximum policy limit for our client. Congratulations Kareem! A cool tidbit about Kareem is that he raced against Usain Bolt while they were both students in Jamaica, West Indies. While he didn’t win that race, nobody can question his winning decision to transfer his case to The Case Handler. Hurt in a Rear-End Car Accident? Have you or a loved one recently been a victim in a rear-end car accident in New York or New Jersey? Was the accident the direct result of another individual’s lack of attention and/or due to intoxication like Kareem’s accident? If so, you may have grounds to take legal action against the other driver and we highly recommend contacting an experienced rear-end accident lawyer before it is too late to bring a claim. Call Adam’s office at Pollack, Pollack, Isaac & DeCicco, LLP today and discuss your legal options with Adam in a case evaluation. Mr. Handler has years of experience helping drivers and their families obtain the compensation they deserve. To get started, call 929-223-4195 or contact us online.